From ideas developed during an intense week of brainstorming at the HHMI’s Janelia Farm this June – a NSF Ideas Lab – our $6.4M proposal has been funded. Our lab will be studying decision making during olfactory navigation across a diverse range of terrestrial species, both in terms of phylogenetic distance and body size: cockroaches, slugs, hermit crabs, sniffer dogs and sniffer people (well, people asked to locate odor sources). 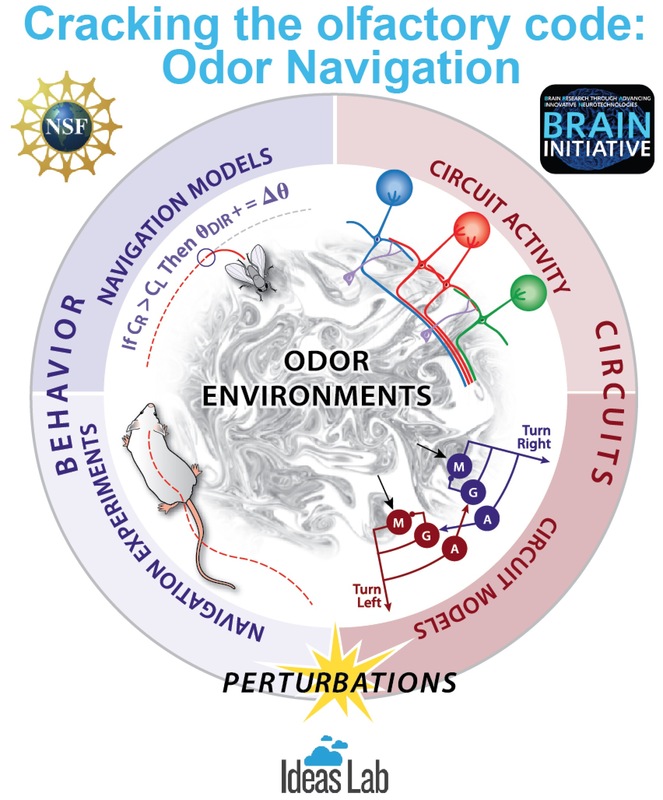 But we’ll be doing this in collaboration with others who will model the olfactory plumes that the animals are tracking and create computational models of the behavior. Our goal: identify the universal algorithm used by such diverse species to locate an odor source, a problem of both theoretical and practical importance. The 7 Principal Investigators are: Lucia Jacobs, Berkeley, John Crimaldi (fluid mechanics, Univ Colorado), mouse neuroscientist Nathan Urban and mathematician Bard Ermentrout at Univ Pittsburgh, mouse neuroscientist Justus Verhagen at the JB Pierce Laboratory at Yale, fly neuroscientist Katherine Nagel at NYU and computational neuroscientist Jonathan Victor at Weill Cornell College of Medicine.